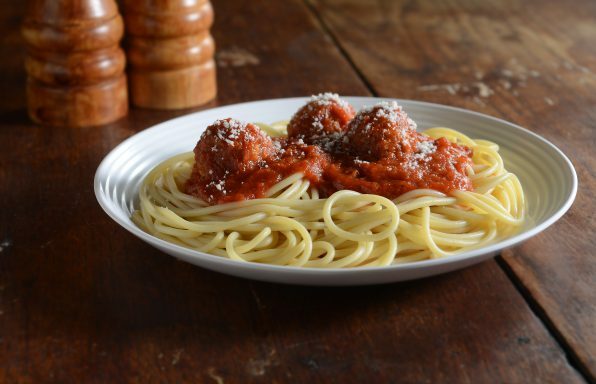 This quick and easy recipe for spaghetti and meatballs uses frozen meatballs, so you get dinner on the table in about 20 minutes. 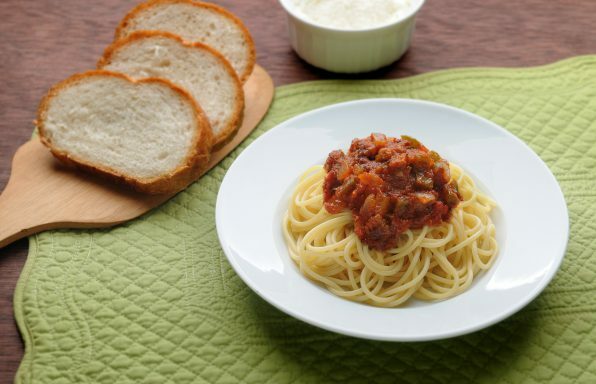 Spoon this Italian sauce with onions and bell peppers over spaghetti for a classic combination full of texture and flavor. This Spaghetti with Meat Sauce recipe combines Italian seasoned tomatoes, ground beef, and savory flavors to create this hearty, mouthwatering family favorite. This hearty dish pairs fresh peppers, sausage, and cream of chicken soup for a warm and satisfying supper. 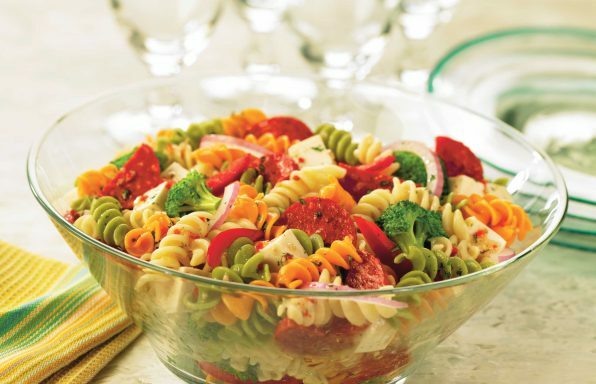 Pepperoni, mozzarella, and vegetables combine for an Italian-inspired pasta salad that's easy and quick to pull together. Looking for warm, comforting mac and cheese but don’t have the time or want to turn the oven on? This recipe puts dinner on the table in less than 30 minutes! Craving lasagna, but don’t have the time? 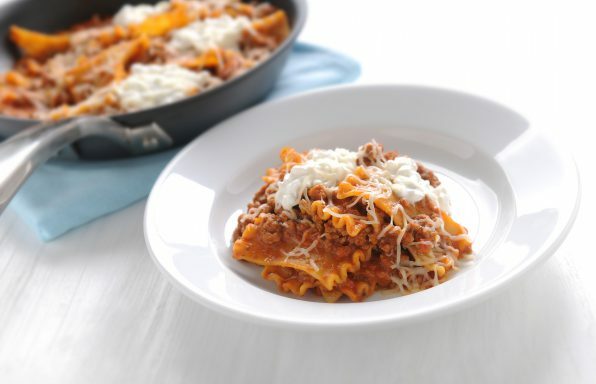 Try this one-pan skillet lasagna for dinner tonight!